A high point for photorealism, a movement that examined the relationship between photography and painting, might have been “Documenta 5” (1972), the international exhibition in Kassel, Germany. That show included paintings by American artists like Robert Bechtle and Richard Estes, but also the Swiss painter Franz Gertsch, whose “situation portraits” of young people living in a commune in Lucerne, Switzerland, in the 1970s is featured in “Polyfocal Allover” at the Swiss Institute. 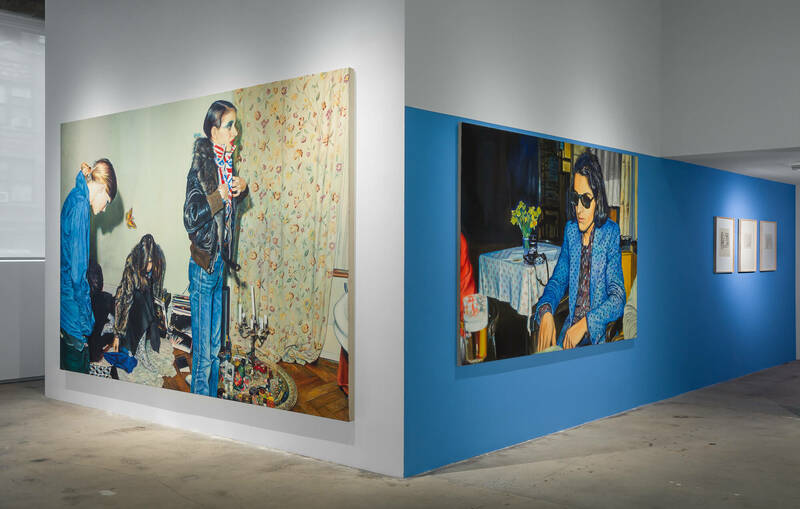 Where American photorealist painters offered a kitchen-sink realism reflecting Vietnam War-era pessimism, Mr. Gertsch’s subjects are lighter and more glamorous. “Portrait of Urs Lüthi” (1970) captures its artist-subject in a fabulously patterned blazer and dark sunglasses. A camera sitting next to him on the table is like a detail in a Dutch still life painting. “At Luciano’s House” (1973), depicts young women changing for a party; a butterfly floats inexplicably through the interior composition. Stark shadows behind the figures in the paintings reveal the flash Mr. Gertsch used to photograph his subjects in preparation for his paintings. Look closer and you see the diffusion of light and color across the large canvases, updating the pointillist experiments of artists like Jan Vermeeror Georges Seurat — but also foreshadowing the grainy effect of filters on contemporary photographic platforms like Instagram.